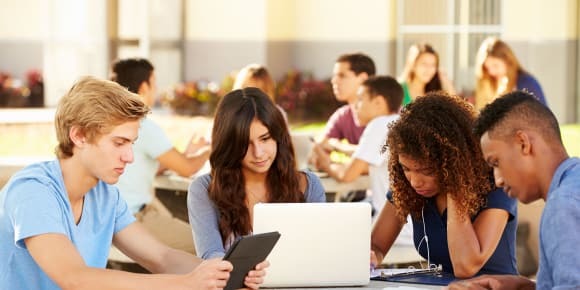 Digital curriculum, one-to-one, Bring Your Own Device (BYOD) computing initiatives, the ability to access daily class materials and submit homework online are all part of the vision of the connected school—a vision that elevates classrooms and learning for everyone. Everyone, that is, with a reliable broadband connection. But what happens to lower-income students who don’t have broadband at home? School districts have been wrestling with this question for years. Now, East Side Union High School District (ESUHSD) and the City of San Jose have come up with a unique solution. Together, they’re building one of the nation’s first school district-funded municipal Wi-Fi infrastructures, bringing free broadband access to hundreds of families that didn’t have it before. Across the United States, school districts are investing in Chromebooks and digital learning platforms, and using federal E-Rate funds to deliver lightning-fast broadband to the classroom. Those investments make a huge difference—but only on school grounds. Students who don’t have home broadband—a majority of students at some ESUHSD schools—risk getting left behind the digital learning revolution.